Unique and splendid, the subtle details of the double shoulders makes this round solitaire ring an original masterpiece of beauty for any round brilliant cut diamond. 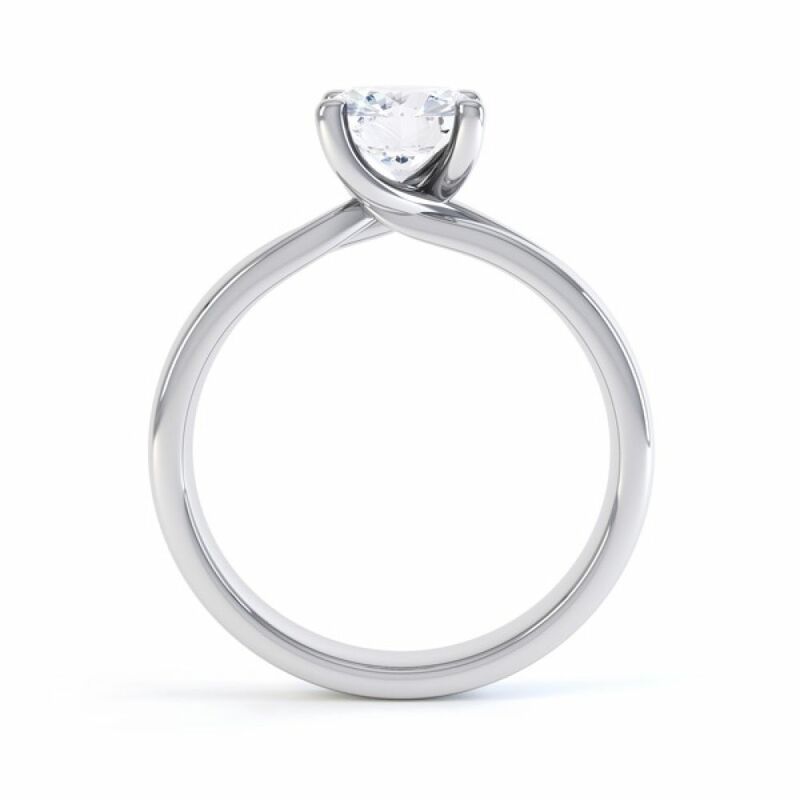 A captivating four claw twist Engagement Ring with subtle split shoulder detail, giving it that original quality. Four claws cradle the Round Brilliant cut Diamond, which you can select suiting your personal preference. This design also comes in a choice of finishes. Most Diamond choices are accompanied by full Diamond certification with a very good cut grade as standard. 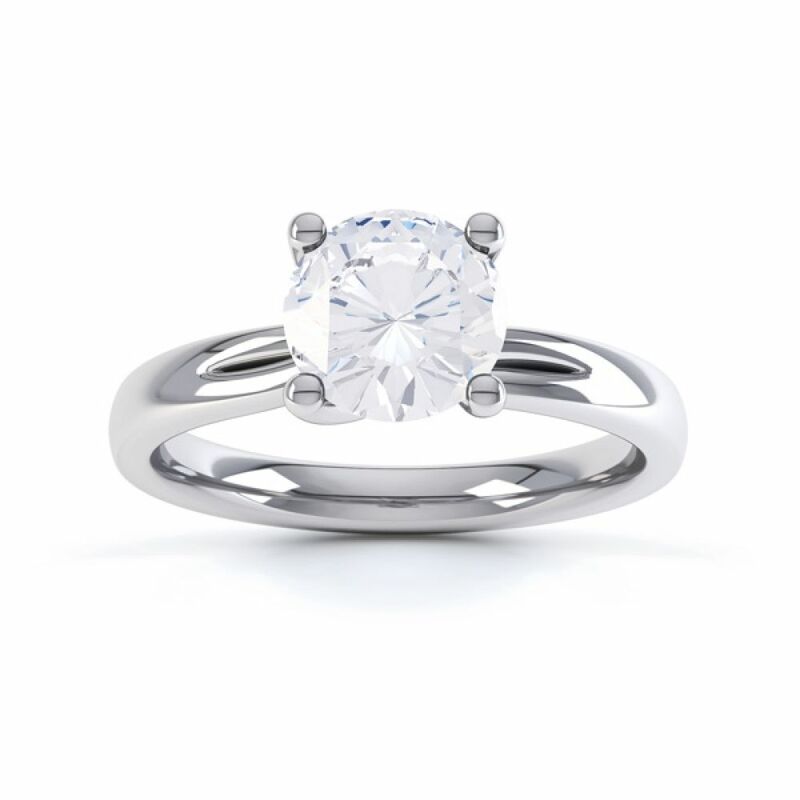 We also work with laboratories such as GIA or IGI to provide the most reputable choices. 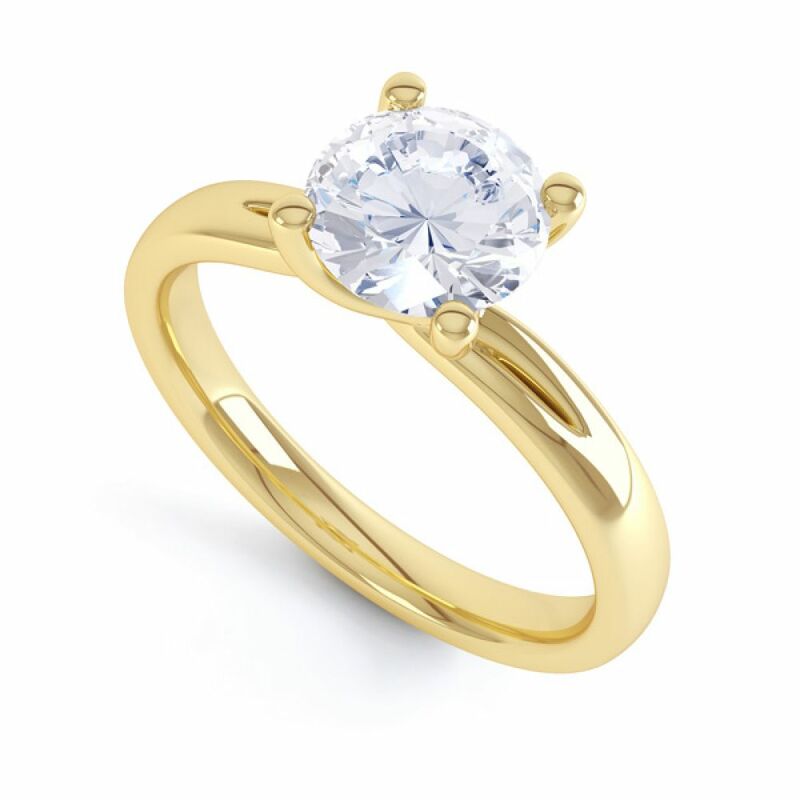 Please allow around 3-4 weeks for your ring to be crafted to order. This classic and timeless ring will arrive beautifully packed ready for the perfect moment.